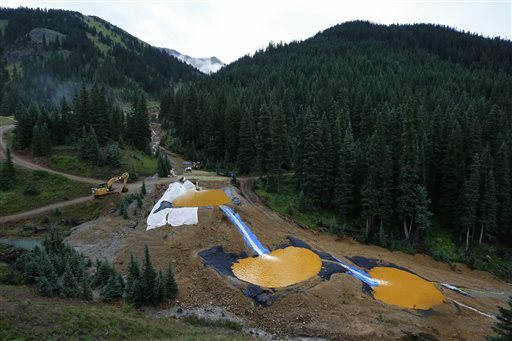 It isn’t clear yet what effect the spring and summer runoff will have on any metals that settled to the bottom of the rivers after the spill. Snowpack in the Colorado mountains that feed the Animas — which joins the San Juan in New Mexico — was 81 percent of the long-term average Thursday. Kevin Houck of the Colorado Water Conservation Board said he didn’t expect a higher-than-normal runoff. Written by DAN ELLIOTT, Associated Press | Follow Dan Elliott on twitter and online at AP’s big story Web page.